WHITEHORSE -- The federal government has announced $20 million in funding aimed at reducing diesel reliance in Canada's rural and remote Indigenous communities but experts say challenges remain. 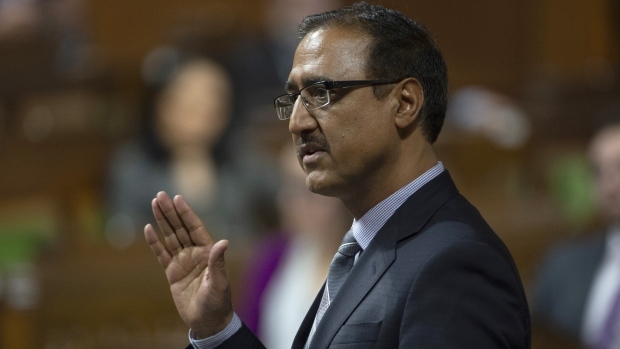 Natural Resources Minister Amarjeet Sohi said the money will help ensure isolated communities have the capacity to develop their own solutions led by local people as they move toward renewable sources of energy. "Once they have their plans they can apply for funding," Sohi said Wednesday. An all-Indigenous panel will select up to 15 communities to receive support and develop their own energy plans over the next three years, the department says in a release. Nicholas Mercer, a PhD candidate at the University of Waterloo and an expert on remote off-grid communities throughout Canada, said developing local expertise to transition off the fuel used for electricity and heating is the way to go. "I just think there has not been enough money put into the program to get the communities off diesel," he said. In 2015, a Senate committee said the northern electricity systems are "aging, under performing and at capacity" but getting off diesel is not quick or easy. Mercer said installing a diesel generator costs about $1,500 per kilowatt but a wind turbine or a solar panel may cost anywhere from $7,000 to $8,000. He said the diesel-produced cost is 90 cents per kilowatt hour in Newfoundland and Labrador but wind energy would cost less than 25 cents a kilowatt hour. "The problem is the upfront costs for diesel are significantly less expensive than the upfront costs for renewable energy technologies," Mercer said. "So, renewables are cost competitive in the long term, you're not buying any more fuel but it's still really difficult to come up with upfront capital." There's also a historical dependence on diesel because it's the only form of power source many of the communities have known and jobs are linked to it, he said. "Diesel is deeply embedded in the communities. It's been around for about 50 or 60 or 70 years," he said. Dylan Heerema, a member of the Pembina Institute's remote communities team, said providing energy in the region comes with lots of challenges. "The biggest one is the remoteness and construction and everything is more expensive. It's difficult to step projects off the ground," he said. Some communities have managed a partial transition using both diesel and a form of renewable energy, which produces less pollution. Three years ago, the Dene hamlet of about 150 people north of Great Bear Lake became the first in the North to replace its near-derelict diesel generator with a combination of diesel, batteries and a solar array capable of generating 160 kilowatts. Heerema said those communities had local as well federal support. Even as diesel generators grow old, Heerema said they will continue to be an important source of backup power in many communities. "It's definitely going to take a number of years for all of Canada's communities to transition off of diesel," Heerema said. "We're talking about a multi-year effort and it will require both public and private investment."